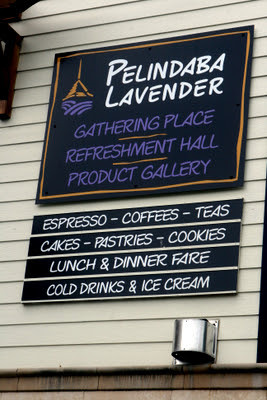 In addition to Pelindaba's farm on San Juan Island, they have a beautiful shop right near the wharf in Friday Harbor (the only town on the island). It's not a regular 'shop', but called a gathering place, refreshment hall, and product gallery. 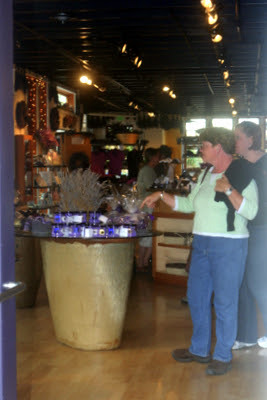 One section of the store features all their lavender products (made right there on the island). The cafe & bakery has two eating areas (inside and out) with WiFi, lavender coffee or tea, pastries and ice creams, sandwiches and more. Lavender is a featured ingredient in all they make. Another area is their gallery where they have displays and share the history of the farm and their mission statement and philosophy. It's a very interesting place. Wow, it must smell reaaaallly good in there!